The first perfect game in American League history was thrown by Cy Young who had his last no-hit game in the National League in 1897. His appearances in games prior to this one included two hitless innings on April 25th and six hitless innings on April 30th. He then pitched this game which featured true perfection. In 1901, the rival American League declared major league status and set about raiding National League rosters. Young left St. Louis and joined the American League's Boston Americans for a $3,500 contract ($89,348 in current dollar terms). Young would remain with the Boston team until 1909. In his first year in the American League, Young was dominant. Pitching to Criger, who had also jumped to Boston, Young led the league in wins, strikeouts and ERA, thus earning the colloquial AL Triple Crown for Pitchers. That season, he also pitched the first perfect game in American League history. Young won almost 42% of his team's games in 1901, a record which would stand for over seventy years until broken by Steve Carlton. In February 1902, before the start of the baseball season, Young served as a pitching coach at Harvard University. The sixth-grade graduate instructing Harvard students delighted Boston newspapers. The following year, Young coached at Mercer University during the spring. The team went on to win the Georgia state championship in 1903, 1904 and 1905. The Boston Americans played the Pittsburgh Pirates in the first modern World Series in 1903. Young, who started Game One against the visiting Pirates, thus threw the first pitch in modern World Series history. The Pirates scored four runs in that first inning and Young lost the game. Young performed better in subsequent games, winning his next two starts. He also drove in three runs in Game Five. 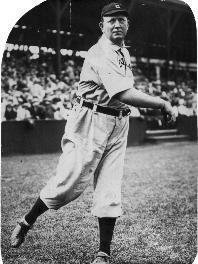 Young finished the series with a 2–1 record and a 1.85 ERA in four appearances, and the Boston Americans defeated the Pittsburgh Pirates, five games to three games. After one-hitting Boston on May 2, 1904, Philadelphia Athletics pitcher Rube Waddell taunted Young to face him so that he could repeat his performance against Boston's ace. Three days later, Young pitched a perfect game against Waddell and the Athletics. It was the first perfect game in American League history. Waddell was the 27th and last batter, and when he flied out, Young shouted, "How do you like that, you hayseed?" Waddell had picked an inauspicious time to issue his challenge. Young's perfect game was the centerpiece of a pitching streak. Young set major league records for the most consecutive scoreless innings pitched and the most consecutive innings without allowing a hit; the latter record still stands at 24.1 innings, or 73 hitless batters. Even after allowing a hit, Young's scoreless streak reached a then-record 45 shutout innings. Before Young, only two pitchers had thrown perfect games. This occurred in 1880, when Lee Richmond and John Ward pitched perfect games within five days of each other, although under somewhat different rules: the front edge of the pitcher's box was only 45 feet (14 m) from home base (the modern release point is about 10 feet (3.0 m) farther away); walks required eight balls; and pitchers were obliged to throw side-armed. Young's perfect game was the first under the modern rules established in 1893. One year later, on July 4, 1905, Rube Waddell beat Young and the Americans, 4–2, in a 20-inning matchup. Young pitched 13 consecutive scoreless innings before he gave up a pair of unearned runs in the final inning. 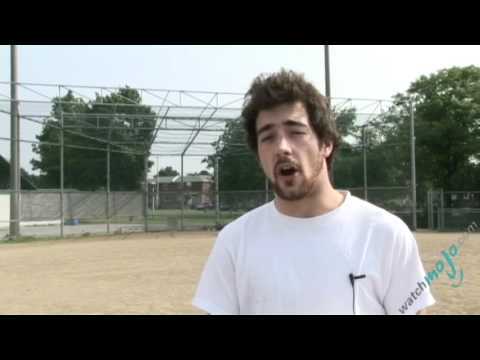 Young did not walk a batter and was later quoted: "For my part, I think it was the greatest game of ball I ever took part in." In 1907, Young and Waddell faced off in a scoreless 13-inning tie.